Locomotives are even more critical than cars. The lack of investment on the part of the national railway operator, Ukrzaliznytsia, in the modernization and renovation of the locomotive park may disrupt exports of new crop, the chief of the industry association Ukrainian Club of Agrarian Business, Taras Vysotskyy told Censor.net. He said the situation with locomotives and the freight stock at Ukrzaliznytsya remains deplorable. 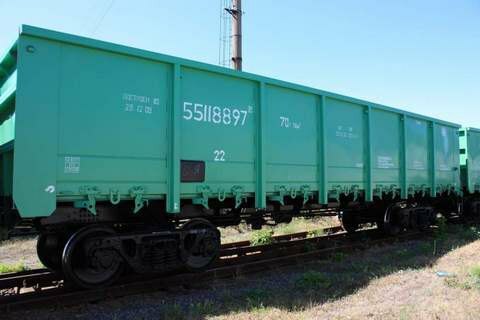 He said that agricultural manufacturers face the acute shortage of freight cars and locomotives even during the mid-season period so large companies a trying to resolve the rolling stock deficit by forming their own grain car parks using their own resources. Unfortunately, the problem remains as Ukrzaliznytsya's investments into locomotives are not nearly enough. The head of steelmaking association Ukrmetallurgprom, Oleksandr Kalenkov, also says that Ukrzaliznytsya's park of locomotives is in critical condition, which can lead to a stoppage of railway freight traffic for many industries. "The depreciation of locomotives is more than 90% but Ukrzaliznytsya still does not invest much in them. The shortage and depreciation of the rolling stock is a problem that can cost us dearly already in the near future. This situation calls for immediate action," said Kalenkov. In his opinion, cash-strapped Ukrzaliznytsia should better increase investment in locomotives instead of scattering funds on purchasing cars. "We can buy cars ourselves from Ukrainian manufactures to avoid the risk of being left without rolling stock. After all, who, if not consignors, know how many and what rails cars they need. Of course it would be nice of Ukrzaliznytsya to give shippers who operate their own cars some benefits or discounts," said Kalenkov. The inability of Ukrzaliznytsya to transport raw materials for steelmakers in 2016 made the metallurgical enterprises of Ukraine to dwindle production by 5 million tonnes, which resulted in 50 billion hryvnya losses for the state budget revenues. The agrarian sector said it has lost 20 billion hryvnya last year over the logistical problems caused by the shortages of locomotives and grain cars.